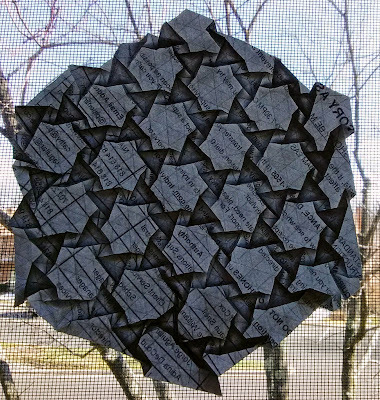 Here's a fun and straightforward origami tessellation that I knocked out fairly easily at work one day. 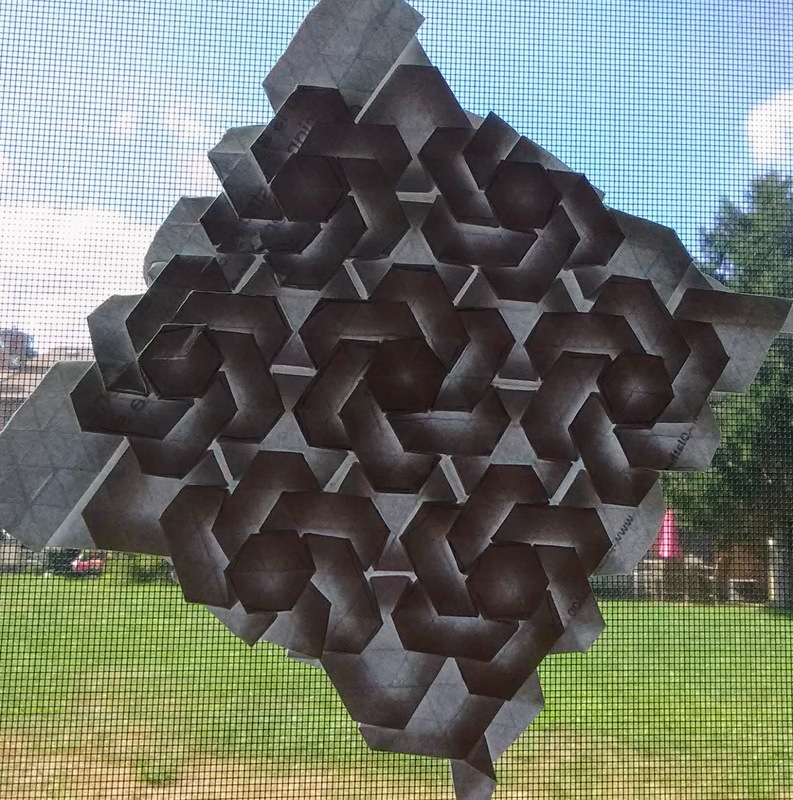 Just a basic hex flower that repeats. On the reverse side it results in a stars pattern. For a simple design it has a really lovely end result. 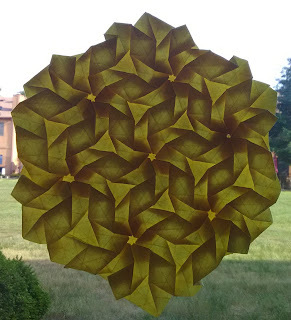 It's not difficult to see that it's just hex twists with teardrop shaped petals attached to it. 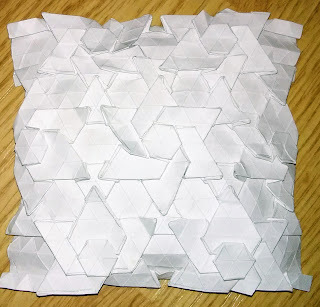 To create the repetitions I simply added additional hex twists off the center that connected to the central axes. Only caveat is to leave enough space between to fit the petals of the repeaters. To the best of my recollection I left 4 pleats between. I wanted to leave more, but the paper size/grid size didn't allow for it. I actually saw a similar design that left more space between each, which looked really nice. But bigger grids required bigger paper or at the very least more patience. 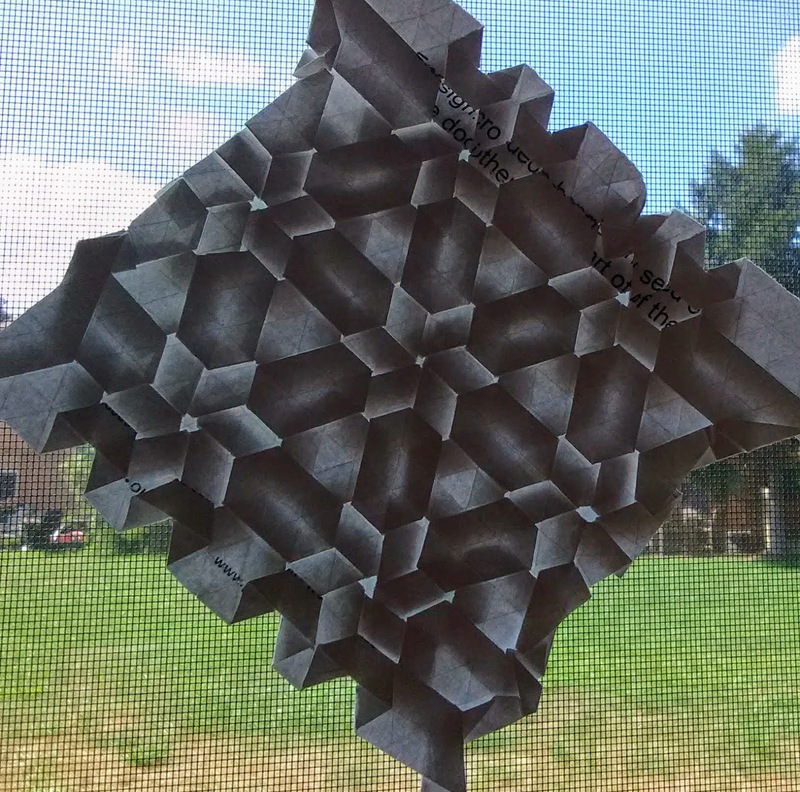 I was actually more struck by the pattern that formed on the back side of the paper. It was an unexpected surprise. A gorgeous series of stars connected by angular veins. 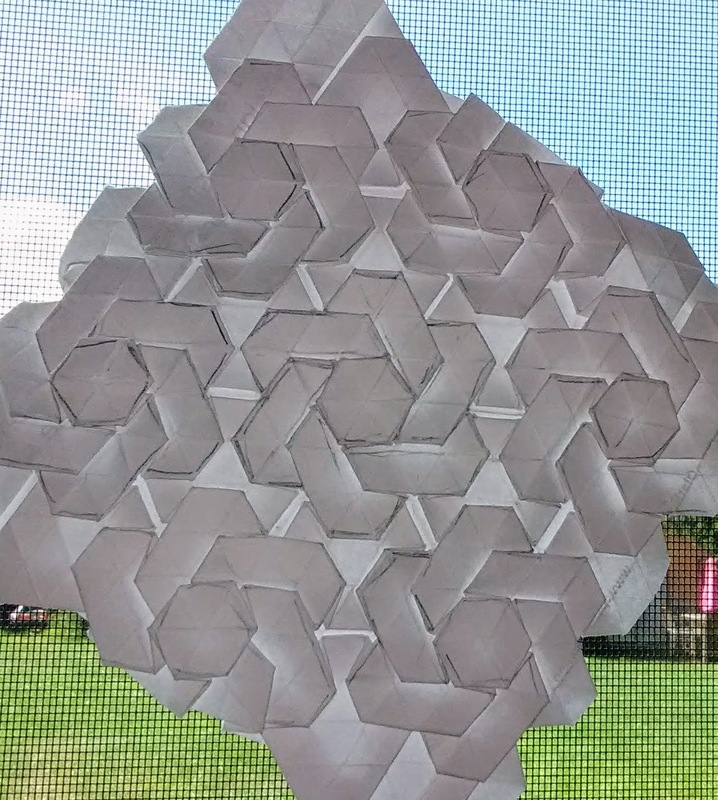 Even though it's a fairly simple construction, the end results are pretty spectacular.